MANILA, Philippines – Just like the #FlipBottleChallenge the #BeCarefulWhoYouBullyChallenge is another hyped dares taking over social media. The challenge is rather simple. It is to post two photos of yourself, one old and one recent. Then watch as how many people will react to the then and now photos that highlights your transformation throughout the years. After, you have to tag 10 of your friends. They have to do the same instructions—creating a chain spreading the challenge. 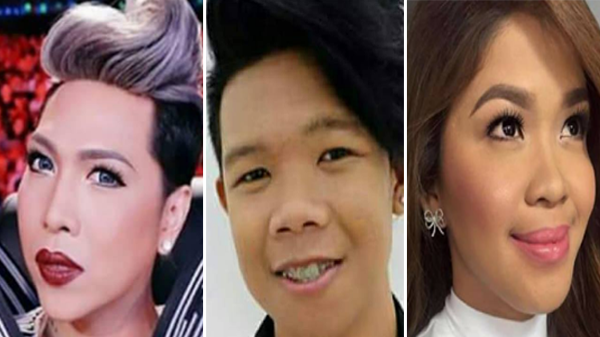 Filipino netizens had pick up this challenge posting their innocent to I-never-expected-this-was-you-before photos seeing that the years has been good. Even celebrities on their good ‘ole days were too was subjected on this challenge. A Facebook page called Be Careful Who You Bully Challenge became popular on Facebook. Posting then and now photos of local celebrities we know and love. The challenge tells that we should be careful on who we bully. For they might just be a late blooming flower, and when it does—it is said to be the most beautiful. But why not—not bully at all? We encourage you to take on the #BeCarefulWhoYouBullyChallenge and tag us on your posts!